Place the No Name® Pecan Crusted Chicken in the oven and bake according to package directions. Heat the soup according to package directions and pour the soup into a bowl. 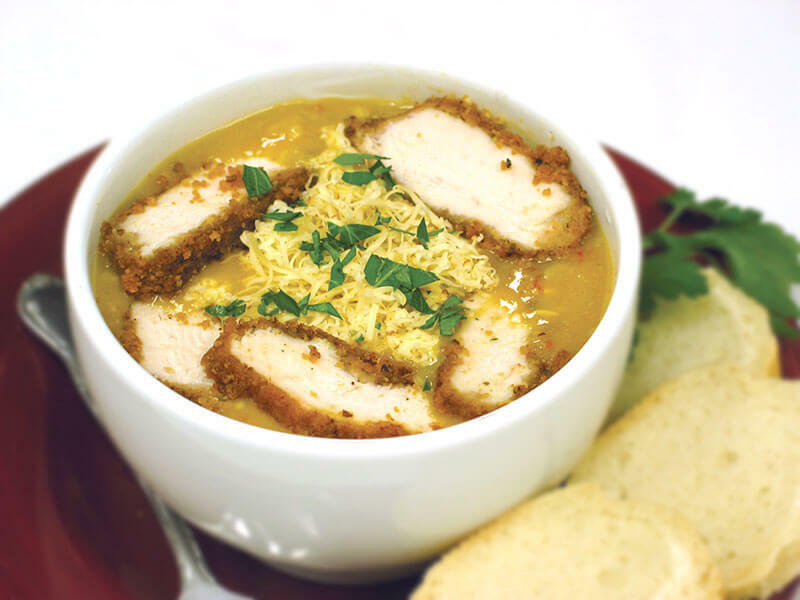 Cut the pecan chicken into strips and add to the soup bowl – use ½ of pecan chicken for each bowl of soup. Grate smoked Gouda and place on top of the soup & chicken. Garnish with finely chopped cilantro or Italian parsley.